I have to talk a bit about RC model turbine safety. This goes without saying, but model jet engines introduce new dangers to the hobby. It's said that RC helicopters are potentially the most dangerous of all RC vehicles. If that's the case, then RC turbine helicopters are the most dangerous of all RC helis. I would argue that RC turbine jet airplanes are more dangerous than helicopters simply because of the very high speeds they can fly at; but there is no question spinning RC helicopter rotors on large models are capable of decapitations (regardless of power source) . In any case, I am not starting a debate which has higher risk factors. I also don’t want to imply that model turbine engines are small bombs waiting to explode – they just require a little more care and attention when/while using them. I already talked about this in the is a RC turbine helicopter right for you section, but it's worth repeating. “If your knowledge about how turbines work and flying skills are not up to a certain level, please don’t even think of getting a turbine powered aircraft”. Like I said before, turbine powered RC aircraft could cast a very negative image on our hobby if the care, attention, and respect they deserve are dismissed, forgotten, or ignored. As the price of model turbines keeps getting lower, more and more people will be introduced to turbine powered flight. This is great - provided we all understand that the media loves to blow things out of proportion, and only a few RC turbine related incidents could have our hobby backed into a corner. The general distance rule here is 25 feet minimum. I like 50! This pretty much applies to any large RC helicopter, but even more important with turbine powered models. If you are flying at a turbine friendly club, this is not usually an issue since the spectator area and even pit area will be a minimum of 25 feet from the flight line and well defined (even being fenced off). 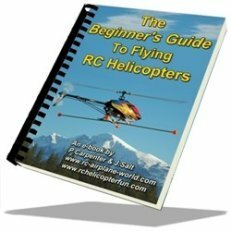 For those of us who fly at private fields however, it's something to always be aware of and if your particular private field has the possibility for spectators to come and watch, it's a very good idea to have a flying buddy/spotter with you (no matter what power source is driving your machine). Most of the general public just don't see or comprehend the dangers involved with larger RC helicopters. Most consider them not much more than toys when in fact they are more akin (from a danger perspective) to flying lawnmowers with most of the bigger birds putting out well over 5 HP and spinning 5 feet or more of sharp carbon fiber blades. I see it all the time myself. Even after multiple warnings from my spotter, a parent/gardian may still let their child/children (or pet/s) run right up to a RC helicopter while it's still running or even flying (until I or my spotter intervene and then of course we are the dicks of the universe for doing so). I've even asked a few of them if they would let their child run up to a running lawnmower? The response is always the same "of course not". 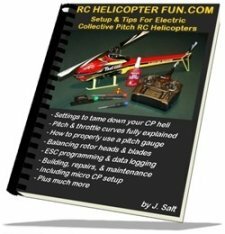 When in fact a large RC helicopter is both more powerful and certainly more dangerous with 5 feet or more of exposed blades spinning at high speeds. Again, most of them just don't understand the dangers at first until you explain it to them. Spectator safety in other words is always going to be your number one responsibility! Failsafe is a term that describes a preset condition of operation if your RC model ever loses or gets corrupted radio signals. For those of you with PCM or spread spectrum radios, this term is already familiar to you. For example, if you are flying your RC turbine helicopter or airplane and get interference or a loss of radio signal, the FADEC engine computer will first ride out the interference or signal loss for perhaps 0.5 seconds and maintain engine speed. If the radio signal is still corrupted or lost after 0.5 seconds the FADEC will set the engine speed to idle. The idle speed setting is then maintained for 1.5 seconds and if the radio signal is still lost or corrupted after this 1.5 second idle command (2 seconds maximum in total from the initial signal loss), the FADEC will then shut the engine down by turning off the fuel pump and fuel supply valve. If the radio signal returns any time during this 2 second period, the FADEC will reset the timer and return to normal function. These "failsafe safety" times are programmed into the FADEC computer and cannot be changed. This model turbine safety failsafe guideline has been determined by several model aviation governmental departments world wide. The FADEC failsafe systems works with PPM, PCM, and spread spectrum radio systems. One very important safety point to mention - Always program your failsafe to shut the engine off. Never fly a turbine RC aircraft with your failsafe on your radio set to "last position hold". If you do and you have a signal loss, the FADEC won’t see this because your receiver has filtered it out and the turbine will continue to run at that last throttle position hold setting. Unlike nitro engines or gas engines , model jet engines have a much higher chance of catching your plane, helicopter, or surroundings on fire. This is because of the high heat and the fact that the turbine has a steady flame burning inside the combustion chamber; along with the fact they (the turbine powered aircraft) are generally carrying at least double the fuel volume compared to similar size nitro or gas powered models. The most dangerous time for a potential fire is at engine start up. ECU’s have greatly reduced the risk, but if there is raw jet fuel in the combustion chamber for whatever reason, it can cause a large flame or serious fire when the turbine ignites. My first experience with this was while starting my bird in the early spring when the grass out at the field was still dormant & dry. I overfilled the isobutane starting gas bottle and a good 1 foot long flame shot out both exhaust nozzles when the turbine "popped" to life. Normally this isn't an issue and it looks pretty neat when it happens. Unfortunately, because the grass was so dry, it caught on fire behind both exhaust outlets and I had to act pretty fast to get the heli out of of harms way and put the fire extinguisher into action. Lesson learned... If your particular turbine powered RC model has exhaust ports that are low to the ground or deflect downwards, start your bird over a fire safe surface. I for example now always startup, take off & land, and shutdown on a piece of 3/4" thick particle board that I've glued 1/2" foam floor padding onto as shown in the photo below. Having a cell phone present & the local area fire department's number programmed in is also something I highly recommend. The second biggest fire potential is of course after a crash and these can be pretty spectacular when they happen. 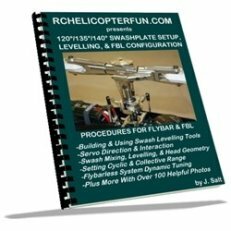 It's seen more on turbine powered RC airplanes than helicopters, again because when they do hit the ground, they are generally moving much faster and the fuel tank can burst, spaying Jet A onto and into the very hot engine that may still be running. 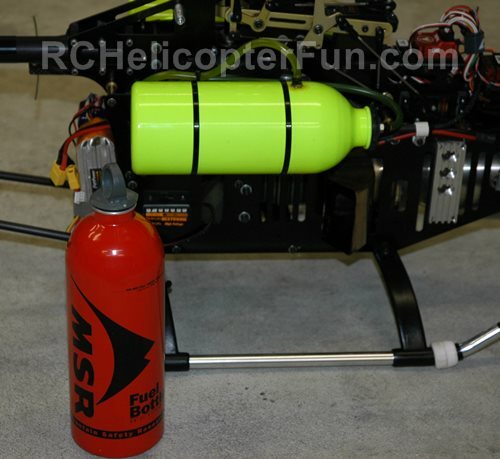 For this reason, turbine powered RC aircraft do require fairly robust puncture/burst resistant fuel tanks. For example as seen in the photo above, my turbine powered Intrepid RC Helicopter uses puncture & burst resistant camp fuel bottles for its tanks (one on each side of the aircraft). They are painted yellow on my machine to match the canopy colors, but they both started out as regular MSR camping fuel bottles (lightweight, strong, inexpensive, & effective). An even stronger fuel tank for model turbine applications are the new generation Kevlar tanks. They are not cheap by any means, but are very strong and more or less puncture proof in all but the worst crashes. 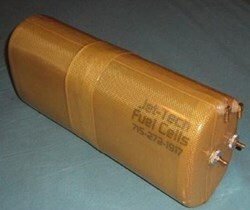 Jet Tech offers many shapes, sizes, and volumes of their Kevlar fuel tanks for pretty much any turbine powered RC aircraft out there. Lastly, if you do belong to a RC flying club (that even allows turbine powered aircraft - not all do), you will have to familiarize yourself with their list of "model turbine safety rules" and any special waivers you may have to sign. The AMA (Academy of Model Aeronautics) for example in the United States has a list of model turbine safety regulations and a special "turbine waiver" that all turbine powered users must agree to. Most other model aeronautic governing bodies will have similar model turbine safety rules; but do check with your own country's regulations before hand. Here by the way is the link to AMA's model turbine safety regulations. It's well worth reading through even if you fly at a private field since it may make you aware of a few model turbine safety concerns you may not have even considered.